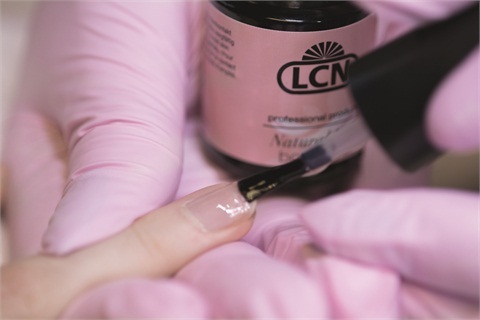 LCN’s Natural Nail Boost Gel is an LED light-curing, solvent-resistant, permanent gel overlay that works as a protective coat. 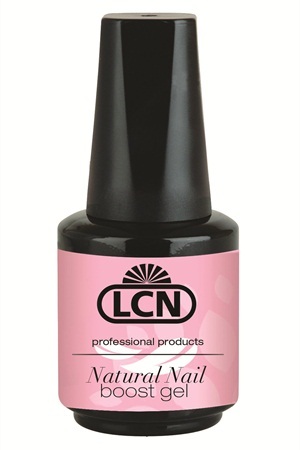 LCN’s Natural Nail Boost Gel is an LED light-curing, solvent-resistant, permanent gel overlay that works as a protective coat. The product is perfect for clients who desire a natural nail sealant without resorting to gel extensions or soak-off solution. It allows clients to change out their polish at home without affecting the gel below. The acid-free gel-polish is a non-soak-off base coat that grows out naturally with nails and can be filled every two to three weeks. 1. Degrease the natural nail, file it into shape, and clean with LCN Cleaner. 2. 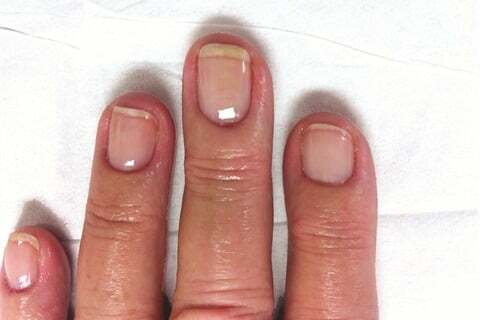 Cure an extremely thin layer of the Natural Nail Boost Gel for 60 seconds in an LED light or two minutes in a UV light. 3. Apply a second coat and cure. 4. Wipe the nails with a dry cotton swab and apply nail polish if desired. Nails can be polished to a high shine with LCN’s Super Shine Finish Cleaner. To see the step-by-step in action, visit www.nailsmag.com/lcnboost.